With residential schools becoming increasingly popular with parents and students alike, educational institutions are tasked with not just managing academics but also student life. When it comes to hostel life, of paramount importance for any school or college is student safety and comfort. Good record management and flawless execution of administrative tasks associated with hostel management is key to ensuring this. A hostel that runs like a well-oiled machine provides a sense of security and comfort to a student. After all, during the academic year, their room is their private sanctum and their roommates and fellow hostelites their family. A hostel and its inhabitants, in many ways, are a home away from home. Ensuring that is managed well is thus essential. Paatham helps in keeping track of student records and their housing details are unreliable, expensive, cumbersome and prone to human error. Gone are the days of dusty ledgers filled with cramped writing that can only be interpreted with the help of the original author. Instead, a robust hostel management system can inexpensively and quickly take over a majority of hostel management duties, reducing labour costs and improving overall efficiency. Having a compatible roommate can make or break a student’s life. The methodology used to assign students to rooms varies from school to school. In some cases, a questionnaire is used to match compatible students while some rely on random assignment. If the latter results in feuding roommates, it is seen as an opportunity for personal growth in the conflict management space. But how does one keep track of these assignments, any changes requested, and maintain a roommate archive? A room assignment feature is thus necessary for any good hostel management system. Paatham, for instance, makes it easy for administrators to assign rooms, process room change requests and keep a track of their student’s life. To the Hostel warden and other hostel employees, such a system allows for smooth flow of information and easy access to specific tasks. They can easily manage tasks such as inventory management, room information, room allocation, schedule fee collections, collect hostel fees and track fee defaulters. The addition of custom fields allows for easy recording of additional information if need. For students, it offers an easy option to choose a room based on their preferences and requirements. In conclusion, managing a hostel through traditional data management is a tedious task and efficiently leveraging a school software offers a dynamic as well as practical approach. It helps hostels with precise inventory planning, offers a systematic approach and ensures accurate control of administrative processes to ensure that the hostel is able to function at its highest capability. e-Testing or e-assessments are on-line tests conducted with the aim of evaluating, measuring, and documenting the educational readiness, learning progress, talent acquisition, or academic wants of the test takers. Within the past, test were typically given in paper printouts and had to be two-handed out manually. Nowadays, you can create online test, share the link with your students, and immediately see their results. e-Testing is a valuable tool in Higher Education for several reasons. it’s large potential benefits for school students in terms of learning and retention of study material, furthermore as increasing their engagement with their chosen topic. e-Testing offers several blessings over traditional pen and paper exams. “students often say they don’t get enough feedback on their performance, and that when they do receive feedback, it is often inadequate, difficult to interpret, or too late”. The use of e-Testing makes it much more realistic for students to get this timely and appropriate feedback given the workload already experienced by teaching staff. The feedback given can also be further enhanced by technology as it may contain links to interactive material, additional reading, videos etc. so that students can be directed to engage in self-directed learning tailored for their particular difficulties. The Digital Roadmap also highlights the need to maximize the potential of data analytics to inform teaching and learning in Higher Education. The use of e-Testing makes this task manageable as most systems would automatically track many learning analytics as students use the system. E-assessment can also be used to great effect to develop greater opportunities for part-time, flexible learning, including lifelong learning. The use of e-Testing saves students a lot of time and money. Often the assessments can be completed in less time, multiple candidates can complete the online assessment at the same time and there is no need for specialized (and expensive) personnel. Also, the test takers are able to take the assessment during class, or at home, using their own devices. You get to see their results and answers and get instant feedback about your chosen topic. That helps you, as teacher, to learn more about your students and adapt to their needs, strengths and weaknesses. Not much can be said about the disadvantages of online testiing, since the advantages outweigh them by far. But there might be some, for example, you need to be computer literate (or able to use a computer well) in order to create and take an assessment. Technology is not always reliable, there might be connection or internet problems, energy breaks and other things like that. Also, there’s a cost involved in online assessment softwares. e-Testing has some pros and cons. It’s up to you to decide what is the best option in your case, that is, keep using hard copy assessments or go for the online option. Although some financial investment in online assessment software is needed, we believe the benefits outweigh the costs by far. It’s a value for money acquisition, since you, as a student, will save a lot of time and money in many other ways. Also, online test allow the test takers to take on mobile learning, which means, they are able to take the test anywhere, anytime. And they receive their results immediately by email. You can see their results and download them into an Excel file. •	No Boundaries, No Restrictions : E-learning, facilitates learning without having to organize when and where everyone who is interested in a course can be present. •	More Fun : Designing a course in a way that makes it interactive and fun through the use of multimedia, enhances not only your engagement factor but also the relative lifetime of the course material in question. •	Cost Effective : E-Learning is always cost friendly. E-learning has proved to be the best means in the education sector, especially The schools which use E-learning technologies are a step ahead of those which still have the traditional approach towards learning. No doubt, it is equally important to take forward the concept of non-electronic teaching with the help of books and lectures, but the importance and effectiveness of technology-based learning cannot be taken lightly or ignored completely. It is believed that the human brain can easily remember and relate to what is seen and heard via moving pictures or videos. It has also been found that visuals, apart from holding the attention of the student, are also retained by the brain for longer periods. education sectors, are now adapting to the concept of E-learning which helps in the progress of a nation. Technological advancements also helped educational establishments reduce the costs of distance learning, a saving that would also be passed on to the students – helping bring education to a wider audience. There are schools where all attendance related work is done on paper i.e. the entire session attending is hold on in register and at the tip of the session, the reports are generated. It makes the daily attendance a very weary task for the faculties. To overcome with such old-fashioned processes, Paatham came up with Attendance Management Software to speed up and make attendance process easy. 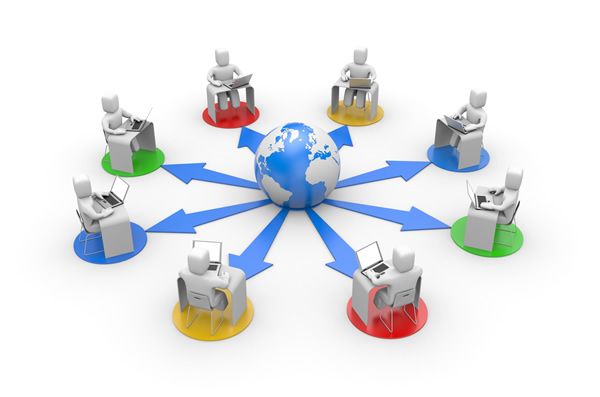 Online attendance management system or e-attendance is one among them. 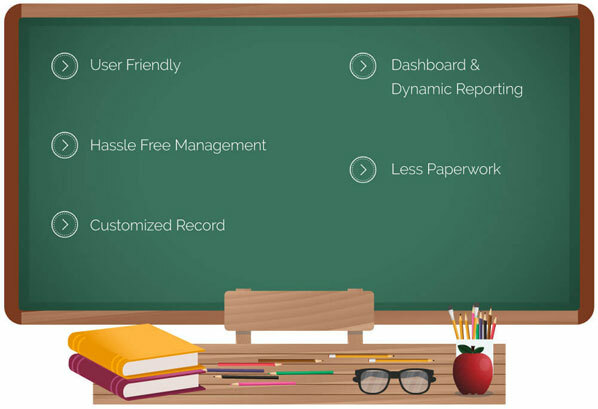 Online Attendance Management System is an application developed for student’s daily attendance at school. It helps to take care of the correct record and generate summarized student attendance report for the students by applying varied criteria. Student Attendance Management Software is one of the applications of school management software that is designed to maintain the accurate status of student daily attendance. It helps to keep up records regarding student attendance, absent or leave records and many more. With the thought to get rid of old fashioned manual technique of maintaining attendance, Paatham introduced online attendance management software. It contains a variety of features and advantages that are explained below. Easy to access and user-friendly: User interface is very easy. Data storing and recovery is fast and secured. Additionally, application is given with graphical representation for easier interpretation and analysis. Reports are simply generated: Various reports such as Student wise attendance, Day wise attendance, Class wise attendance, Month Wise Class Attendance etc can be easily generated. Current and back-dated reports can be available instantly. Error-free: No paperwork and no risk of errors which can be occurred while marking the attendance manually. SMS Integration: SMS Integration is one of the important features of attendance management software. By Paatham software, schools can easily send a report of a student to their parents like its absent report, monthly attendance report, leave and applications reports etc. It would be beneficial for both parents and teachers for better communication. The online attendance management system has been engineered to eliminate the time and energy wasted in taking attendances. It’s software package that fulfills the need of the system that it’s been developed. The system has reached at such a level where all bugs are eliminated and operated efficiency. So, at last, we will say that Student attendance software saves time and effort in maintaining attendance and being a Combination of all these features, Paatham provides of its best student attendance management software. In this technically knowledgeable era, the fashionable and cool apps rule over the boring study and exams, and students with none doubt, love the ruling app. However, when we combine the two, the result is fashionable as well as a powerful source of effective learning. When we think about combining fashionable technology with boring studies, what we actually mean is the educational mobile app. Undoubtedly, students are more driven towards using a mobile phone for every purpose, and in this situation, the educational app can be the perfect way to attract the students and convince them to study. With the educational app, the students can get access to any information from anywhere. Therefore, the mobile app Paatham was made with the most interactive and constructive way to attract the students towards studies and enhance their productivity. 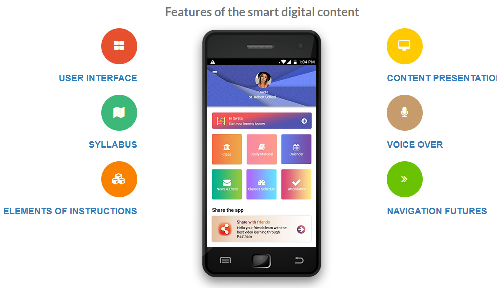 Let us discuss few benefits of the educational app Paatham. Gone are the days, when the sole possibility for the students to read books, was by visiting the library. The innovative gadgets of these days make it simple for the students to practice their lessons in a good and interactive approach. Paatham app is available for all types of students. These apps ensure interactive and effective learning, by changing the boring lessons and helping the students to visualize each and everything. Unlike schools, the mobile app Paatham is accessible round the clock. Therefore, app learning isn’t time-bound learning, rather it’s relaxed learning. We tend to all understand that time-bound learning is not much effective, as children get distracted very easily and don’t seem to concentrate continuously for a long time. Thus, educational apps work the best regarding this issue, as they are available 24/7, and also the students will study as per their convenience. With the advancement of technology and introduction of educational app Paatham students don’t seem to invest their time and money to buy the desired study material from the outlets and libraries. Paatham can facilitate the students who are unable to go to the library on a daily basis, by providing needed study material in precisely some clicks. Paatham also facilitate the readers to discover a range of eBooks with a mere click. Clearly none of us leave our cell phones at home while going some place. Using app have become a part of the day by day schedule, whether you watch a video on the way to work or play games at lunch, your cell phone is dependably with you. In this way, the app can be the consistent companions for the students, as they obtainable to youngsters anyplace, anytime. With the help of educational app, Paatham learning won’t be confined to the schoolroom alone, because the apps permit pupils to require their learning into their own hands and and that they will study and check themselves at any purpose within the day. The mobile app learning is one amongst the wisest decisions of utilizing your free time actively. The child’s leisure is utilised to be told one thing new with the help of mobile app, and also the entertainment is warranted, without wasting time by watching the idiot box. The mobile apps prove their value, by utilizing the free time in an viable and helpful way. A teacher’s role within the student’s life isn’t the least bit questionable, however a teacher cannot focus towards one student solely. He/she sometimes has got to interact with 20-30 pupils throughout every session, and it’s tough to make sure all is engaged and following what’s being tutored. However, once a student utilizes an app, the time they interact with the app is all their own. With Paatham educational app, you can track your children’s progress, that is one in all the foremost necessary things that each parent needs to explore. It is easy for the parents to track their child’s overall or individual subject progress and guide them accordingly, with the help of the mobile app Paatham. The above-mentioned benefits are enough to prove the value of the educational app, Paatham but the app have a lot more to offer. Without any doubt, technology has helped a lot to create a worldwide platform for education furthermore as helped to spot the hidden skills and abilities of the students. Thus, educational app Paatham, contribute within the learning process and can reshape the long run of education. Every year, an increasing number of organizations use eLearning to deliver more of their training. 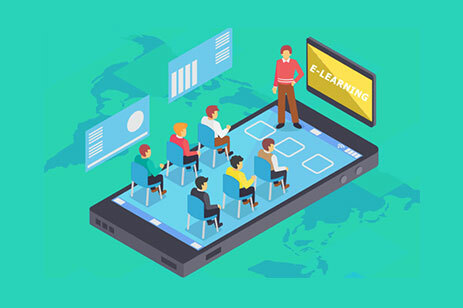 As eLearning tools evolve, they continue to offer more functionality at a lower cost, making eLearning an increasingly attractive alternative or complement to traditional training methods. Still, eLearning is not always the best option. There are times when live instructors are needed, either in person or via web meeting. Consider these seven key questions when deciding what role eLearning should play in your next training initiative. 1. What Kind of Instructional Content Am I Looking to Implement? While eLearning has the potential to be a particularly powerful training tool, its effectiveness depends on the job you have in mind. Before deciding on a training format, it is important that you consider what skills you are training, and how you want your employees to use those skills in their jobs. The following content types work especially well with the strengths of the online training format. Basic soft skills, such as sales processes, product knowledge, and quality standards, can all be taught using eLearning. Generally, eLearning for these skills is best used as part of a comprehensive blended learning program. Travel costs can be all but eliminated. While classroom training programs often require a significant amount of travel – both for trainers and trainees – eLearning by its very nature is travel-free. All that’s needed is an internet connection. Training is more consistent from location to location. 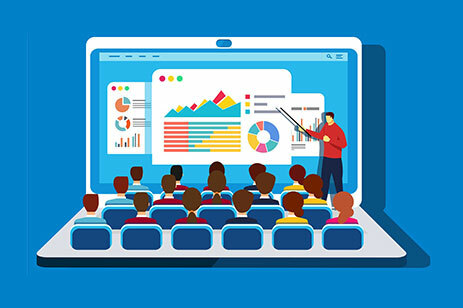 eLearning can eliminate the variance in content delivery that is common when multiple instructors are employed to deliver training over a broad geographic spectrum. Different instructors tend to highlight different points based on their own experience. Unless they are heavily scripted, this creates inconsistent training experiences among your learners. eLearning provides consistency and ensures that your learners are sharing a common training experience with a consistent message being delivered. What is the Geographic Distribution of the students? When you have a geographically diverse audience and are committed to instructor led training exclusively, you are stuck with two choices: bring the instructor to the learners or bring the learners to the instructor. Both choices come loaded with a whole bucket of potential scheduling issues that may result in your learners not getting the training they need, when they need it. A widely disbursed workforce can be a major hassle for training managers, and one for which classroom training is especially poorly suited. eLearning provides a solution that can provide significant cost savings, while delivering a more uniform and predictable training result. 1. eLearning courses can be accessed any time, from any location, allowing employees to take training when and where it works best with their schedules. 2. eLearning allows the trainees to learn at their own pace, increasing understanding of the material and speeding the process. 3. What Sort of Technology Investment Will I Need To Make? 4. Can eLearning Be Used in Conjunction With the Classroom Training We Currently Use? 5. Am I Prepared to Make eLearning a Success? 6. The Bottom Line: How Can I Assess the eLearning ROI? •	Start by figuring out what your company’s definition of “success” is when it comes to training. •	Identify the soft-savings you’re trying to measure. •	Assess your eLearning system’s effectiveness through a controlled test. There will always be a place and need for instructor led training. Nothing in the digital world can truly replace the adaptive give and take afforded by the classroom. 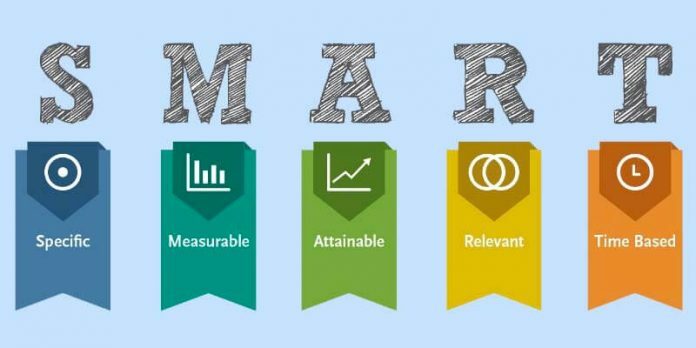 But, there are many opportunities for smart managers to leverage eLearning in order to save time and money while still getting your learners the quality training they need. Depending on how much time you have for guided math, find ideas on how to schedule your daily math block to include key components for success. Proper attendance management is crucial for the success of any academic institution. Many researches reveal that poor attendance is affecting the quality of education. Schools are not able to meet the expectations of parents because of the disorganized manual attendance management system. Schools should give much emphasis on student attendance in order to improve the overall academic performance of students. To assist them in this issue, they can avail the help of an online student management system. Enhanced Course Management : As you know, teaching is a continuous process. Therefore, each day’s lessons are scheduled as the continuation of the topics that you taught your students the previous day. Regular absentees may leave an avoidable burden for the teachers. You may have to repeat the same topics for irregular students, thus taking extra time. Repeating the same topics may prevent you from achieving your lesson plan goals. Tracking student attendance on a daily basis will help to you keep an eye on irregular students. You can easily meet your lesson plan goals with the help of attendance management systems. Better Overall School Result : It’s obvious that only regular students will achieve excellent grades in a school. Irregular students cannot compete with your regular students, no matter whatever effort they take. Such kind of students would do badly in their exams and affect the overall results of your school. Completely automated attendance management software will help you to track your students’ progress in a systematic manner. Good Attendance Stimulates Good Behaviour : Does attendance affect student behaviour? Of course, yes. Regular attendance can nurture good behaviour in students. This will motivate them to behave in a responsible way as well. Assuring student safety : We are at a juncture of time where student safety is so much important. With a full-fledged attendance management system parents will be informed about the day to day attendance of their child via automated messages. If there is any doubt parents can even go through the attendance sheet online. Considerable productivity increase : Attendance related activities are usually carried out manually which takes sizeable amount of time of the teachers. If a school has an attendance management system it will carry out all the attendance related calculation within no time, Thus saving a huge amount of time which can be put to another use. Burden on Teachers Can be Minimized : As we discussed earlier, managing the needs of irregular students is hectic and time consuming as well. Teachers have to reteach the topics for the absentees in order to make them competitive with the regular students. Unfortunately, this process needs time and energy of your teachers and as a result will become a burden for them. Improved Parent Teacher Communication : There is no doubt that better parent- teacher communication, influence students’ academic success. By installing a quality student attendance management system you are creating a chance to reach out to parents. If a parent come to know that his\ her children is bunking academic sessions, definitely he\she may contact the teachers. This will give you an opportunity to improve the academic performance of irregular students. HOW TO CHOOSE A STUDENT ATTENDANCE MANAGEMENT SYSTEM? When you are learning a new skill, do you do it perfectly the very first time? Do you know all the answers before you even begin? Of course not! The same is true of math. Learning math requires practice, and making mistakes is part of the process. But as I’ve shared before, making mistakes in math is a good thing, and can help kids learn and understand more deeply. Today I want to dive a little deeper, because all mistakes are not equal. There are different types of math errors that students make, and understanding how to prevent them and how to learn from them is essential. This seems obvious, but students are often in a rush to finish so that they can move on to something else. Rushing is the easiest way to ensure careless mistakes. Encourage kids to take it slow and pay attention to what they’re doing. Whether it’s a worksheet or word problems, circling important information will help students know what to do. Circling something in the directions will help them follow them correctly. Circling key information in a word problem will help them think through their strategy and make sure they don’t forget anything. Using a sheet of graph paper to work out problems can be a really simple fix for kids who struggle with neatness. Graph paper allows kids to line up the numbers correctly and prevent sloppy mix ups. The second type of mistake is computational. This means somewhere in the process they incorrectly added, subtracted, multiplied or divided. Making one computational mistake in a multi-step problem means the rest of their work will be wrong and the final solution wrong. As a classroom teacher, I always required students to show all their steps because if they used the correct procedure and showed me that they understood the concept, I was not too concerned about a small computational error. Yes, that may have meant the “whole problem” was wrong, but to me, the final solution is not as important as understanding the concept and the process. Still, we never want to encourage carelessness in computation. Conceptual errors occur because kids have misunderstood the underlying concepts or have used incorrect logic. This is the most difficult type of error to identify at first glance. This is also the most difficult type of error for students to recognize, but it is the most important to catch and correct. When students make conceptual errors, it’s possible that all the math computations are correct. If they’ve misunderstood a concept and thus used an incorrect method to solve, they can work out each step meticulously and correctly but still get the wrong answer. But here are a few things you can do to try and encourage conceptual understanding and prevent future conceptual mistakes. Top 10 Evidence Based Teaching Strategies. 1. Be clear about what you want your students to learn: It is crucial that you are clear about what you want your students to learn during each lesson. The effect that such clarity has on student results is 32% greater than the effect of holding high expectations for every student. If you cannot quickly and easily state what you want your students to know and be able to do at the end of a given lesson, the goal of your lesson will be unclear. Clear lesson goals help you (and your students) to focus every other aspect of your lesson on what matters most. 2. Tell your students what they need to know & show them what they need to be able to do: You should normally start your lessons with show and tell. Put simply, telling involves sharing information or knowledge with your students while showing involves modelling how to do something. Once you are clear about what you want your students to know and be able to do by the end of the lesson, you need to tell them what they need to know and show them how to do the tasks you want them to be able to do. You don’t want to spend your entire lesson having the kids listening to you, so focus your show and tell on what matters most. To do this, have another look at your lesson goal. 3. Use questions to check that your students understand things: Research suggests that teachers typically spend a large amount of teaching time asking questions. However, few teachers use questions to check for understanding within a lesson. However, you should always check for understanding before moving onto the next part of their lesson. Techniques such as randomised sampling, student answer-boards and tell-a-friend help you to check for understanding before moving on from the show and tell part of your lesson while you can use other questioning techniques at different stages of your lesson. 4. Have students summarise new information in a graphic way: Graphic outlines include things such as mind maps, flow-charts and Venn diagrams. You can use them to help students to summarise what they have learned and to understand the interrelationships between the aspects of what you have taught them. Studies show that it doesn’t seem to matter who makes the summary graphic, be it you or your students, provided the graphic is accurate. Discussing a graphical summary is a fantastic way to finish off your show and tell. You can then refer to it one more time at the end of your lesson. 5. Give your students plenty of practice spaced out over time: As saying says, practice makes perfect. Practice helps students to retain the knowledge and skills that they have learned while also allowing you another opportunity to check for understanding. If you want to harness the potent power of practice, you must ensure that your students are practicing the right things. Your students should be practicing what they learnt during your show and tell, which in turn should reflect your lesson goal. Practice is not about mindless busy work. Nor does it involve assigning independent tasks that you haven’t previously modelled and taught. Finally, research shows that students do better when their teacher has them practice the same things over a spaced-out period of time. 6. Provide your students with feedback so they can refine their efforts: Feedback is the breakfast of champions, and it is the breakfast served by extraordinary teachers around the world. Put simply, giving feedback involves letting your students know how they have performed on a particular task along with ways that they can improve. Unlike praise, which focuses on the student rather than the task, feedback provides your students with a tangible understanding of what they did well, of where they are at, and of how they can improve. 7. Allow time for every child to succeed: The idea that given enough time, every student can learn is not as revolutionary as it sounds. It underpins the way we teach martial arts, swimming and dancing. It is also the central premise behind mastery learning, a technique that has the same effect on student results as socio-economic status and other aspects of home life. When you adopt mastery learning, you differentiate in a different way. 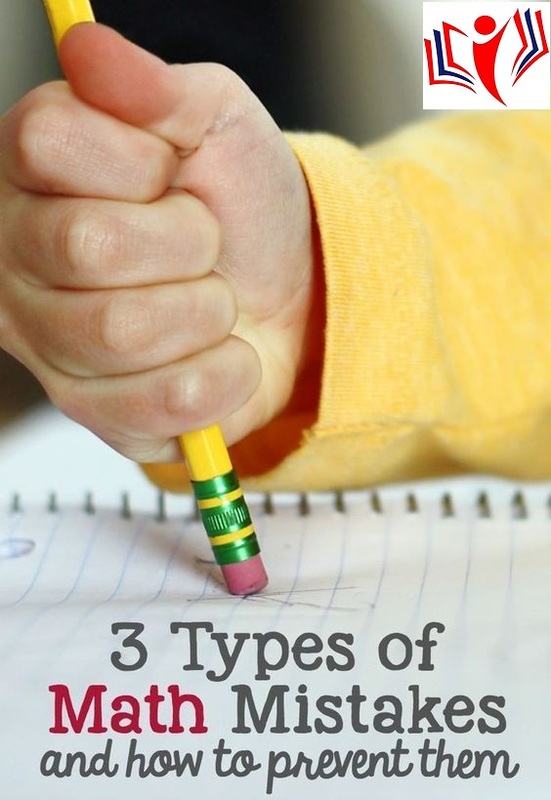 You keep your learning goals the same, but vary the time you give each child to succeed. Within the constraints of a crowded curriculum, this may be easier said than done; however, we can all do it to some degree. 8. Get students working together in a productive way: Group work is not new, and you can see it in every classroom. However, productive group work is rare. When working in groups, students tend to rely on the person who seems most willing and able to the task at hand. Psychologists call this phenomenon social loafing. To increase the productivity of your groups, you need to be selective about the tasks you assign to them and the individual role that each group member plays. You should only ask groups to do tasks that all group members can do successfully. You should also ensure each group member personally responsible for one step in the task. 9. Teach students “strategies” as well as content: Earlier, I highlighted the importance of show and tell. You can increase how well your students do in any subject by explicitly teaching them how to use relevant strategies. When teaching children to read you need to teach them how to attack unknown words, as well as strategies that will deepen their comprehension. When teaching them mathematics, you need to teach them problem-solving strategies. From assignments and studying, to characterisation, there are strategies underpinning the effective execution of many tasks that you ask students to perform in school. And, just as with content, you need to tell students about these strategies, to show them how to use them and to give them guided practice before asking them to use them independently. 10. Nurture metacognition: Many teachers believe they are encouraging students to use meta-cognition when they are just asking students to use strategies – strategies such as making connections when reading or self-verbalising when solving problems. Don’t get me wrong, as I stated in the above point, encouraging students to adopt strategies is important, but it is not meta-cognition. Meta-cognition involves thinking about your options, your choices and your results – and it has an even larger effect on student results than teaching strategies. When using meta-cognition your students may think about what strategies they could use before choosing one, and they may think about how effective their choice was (after reflecting on their success or lack thereof) before continuing with or changing their chosen strategy.